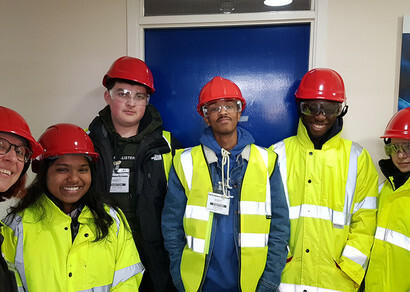 St Charles students recently visited the Haltermann Carless Refinery in Harwich to learn about health and safety in industry. During the visit students were given a tour of the site by the Director of Health & Safety and given a presentation on the procedures in place at the refinery. The tour included access to areas which are not usually accessible to many students or even teachers, including a view of the fractionating columns and tanks which contained hydrocarbon chains such as naphtha. Students remarked that it was interesting to see these in real life and not just through textbooks. The participating students would like to thank the company for making the visit possible, and for their warm welcome.